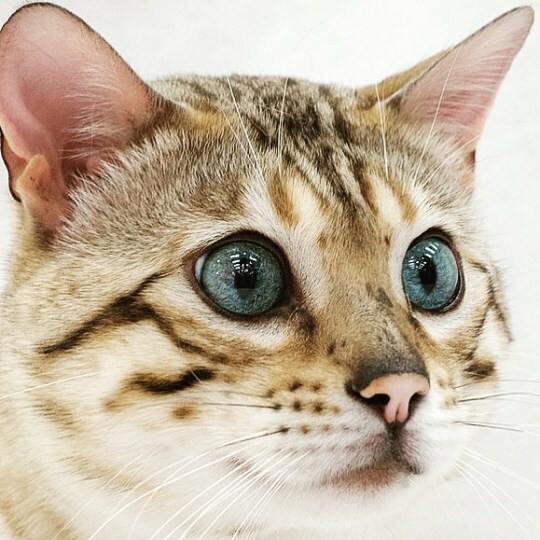 Leopardstar Tatsu (Tilly) Tilly is a Brown Spotted Bengal but carries for blue Eyed Snows. Thought we would drop you an email to let you know that “Bentley” has settled in fine. First day he was very cautious and then it was all plain sailing. He has completely taken over the household and is up and down the three floors like it is Le Mans, he loves the stairs. We kept him in the kitchen on his first day until he had a tinkle in his tray and then opened all the doors so he could introduce himself to each room. He had his first visit to the vet today to have his Kitty Check and all is okay which we knew it would be and she complimented you on your efficiency and breeding. He is booked in on the 26th April for his doo-dahs doing and also a 6 month check. Paul thought you might like the pictures below and we will keep in touch to let you know his progress. 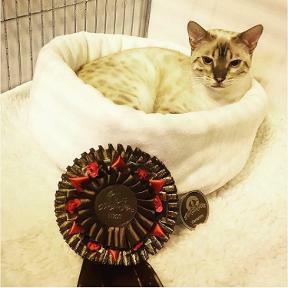 Nevaeh Bengals are hobby Bengal Cat Breeders, breeding high quality Bengal Cats in the South of England. Our Bengal kittens are bred from stunning brown spotted cats with glitter and rosettes. Please feel free to email or phone us for details of our waiting list, should you be looking for a special kitten this year. Emma 07500661338 Ann 01980620807 nevaehbengals@hotmail.co.uk We are situated close to Salisbury, Wiltshire only 5 minutes from the A303, within easy reach of Dorset, Hampshire, Somerset, Gloucestershire, Oxfordshire, Berkshire and The South West. London is 1 ½ hours and The Midlands (Birmingham) is approx. 2 hours. We are 1 hr 20 min. from London Heathrow airport.